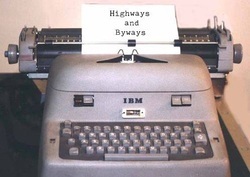 Highways and Byways (H & B) is a part of House of Prayer Ministries, Free Church of Sullivan County, PA and was birthed out of our old radio program “House of Prayer Radio” which aired on stations covering portions of North Central and North Eastern Pennsylvania and Central upstate New York. The approach to getting this out to folks was simple enough...If the Lord was behind this, He would connect us with like minded people who would believe in this outreach and together, we would give away as many of these CD’s as we were able. If you hear the Lord speaking to your heart to help, then do as the Lord is telling you...and rejoice that you find yourself within earshot of the Master’s voice. Prayer support is vital and if you are an intercessor, please contact us and let us know that you are praying for us...we can let you know what the current concerns are and you can pray accordingly.